Department of Immigration and Passports dip Job Exam Result 2018. 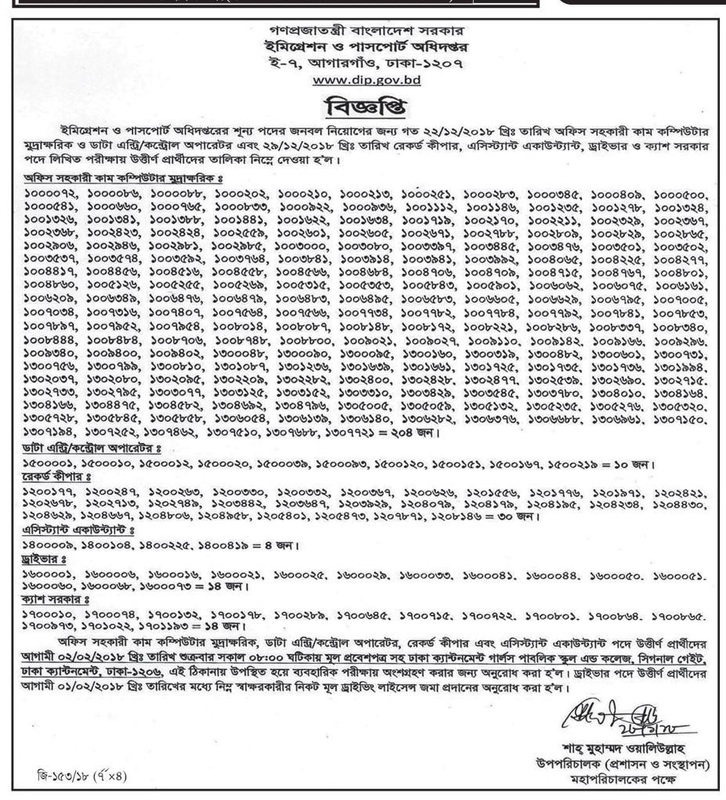 Department of Immigration and Passports dip Job Exam Result 2018 has been published by their authority and to get on my website From BD Jobs Careers-www.bdjobscareers.com. We know that every year, there are lots of job seekers attend to hold on the government jobs profession. If you attend this exam, below we share for you the Department of Immigration and Passports dip Job Exam Result 2018. Check Now!! BD Jobs Careers Publish Regular based all types jobs exam result and latest job circular news including government jobs circular, private jobs news international jobs information, all bank jobs circular updates, public exam result and many more. We believe that our publish job information help the people who is finding jobs. We also share livelihood resources which help to build your career through the sharing tips and tricks. Our main target helps the new job seeker and unemployment people. Connect with us for getting more useful information. This entry was posted in All Jobs, Diploma Engineer Jobs, Government Jobs, Government Jobs Result by Shium Mahmud. Bookmark the permalink.